I made up a tiny snack/meal last night and was so impressed with the look and taste, I had to capture and share it. 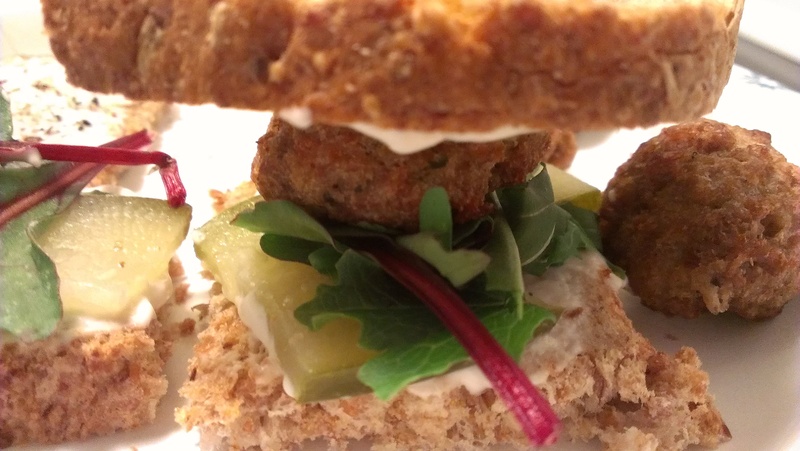 This mini-meatless-meatball sandwich is full of protein, on sprouted toast, easy to make, and delicious. Below you see my process of making Chia Jam. It’s a simple and easy recipe (Difficult is not my style). 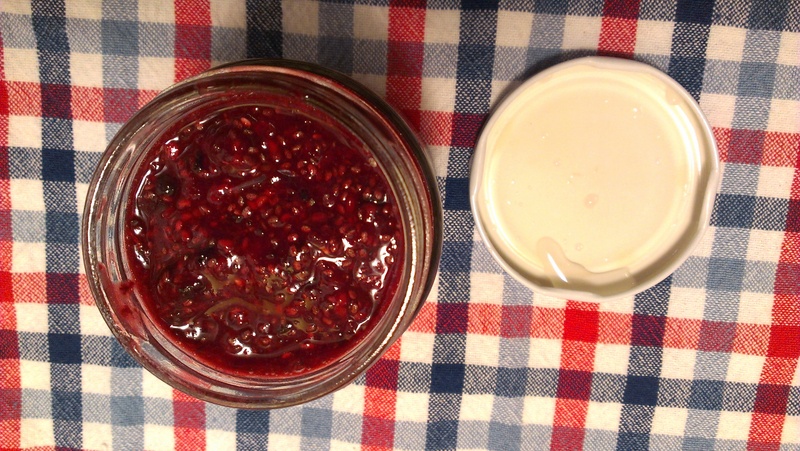 I recycled a ginger jar, so save your old jam/mustard/condiment jars! They work great for things like this. Recipes below! Microwave the meatballs for 2 minutes. Meanwhile, toast your piece of bread. Spread all with veganaise and spice up as you like. I used black pepper. Cut the pickle into two, and place half on each bottom bun. Place the lettuce on top. Smash the top down a little bit. This will make two mini sandwiches. Dip the last 4 meatballs in mustard. 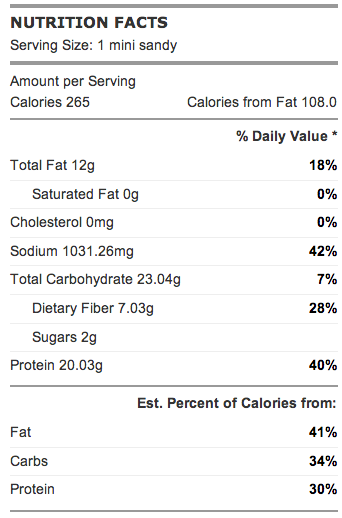 Nutrition Facts include all 6 meatballs. You can see from the photos exactly how easy this is. 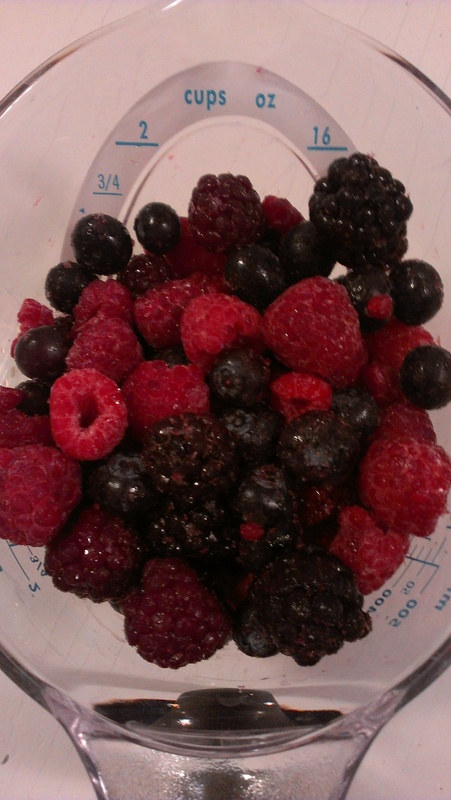 Blend until smooth, or however chunky you like your jam. 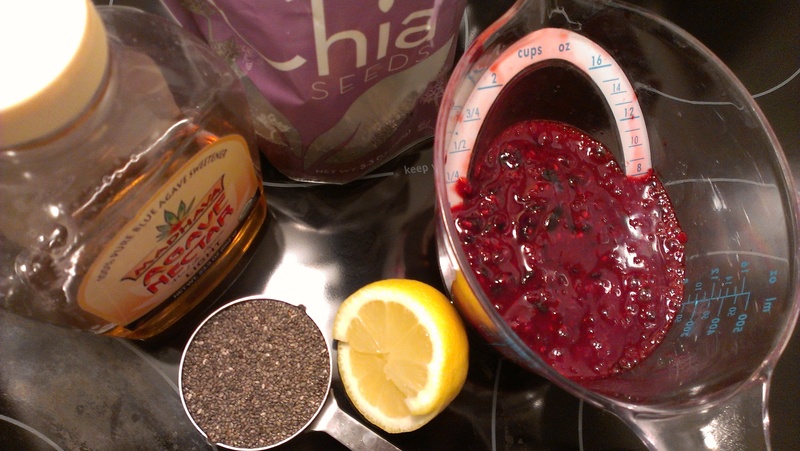 Stir in chia seeds, sweetener of choice, and lemon juice. Place into jar or tupperware. Refrigerate over night. I really love this on toast, bananas, or Almond Butter and Chia Jam sandys. 🙂 Sandy is officially my nickname for sandwiches now. Forget “sammy” I like Sandy. This is not for those who like “jelly.” Unless you use blueberries, it will have plenty of “crunch” or texture because of all the seeds. The chia seeds get smooth, but the raspberries and strawberries have seeds. I like it. And most jam lovers do. But jelly-lovers, beware! Previous postVitaminShoppe Gift Card Giveaway! 2 Winners!